Just like our Day-to-Night picks, Lo & Sons makes travel easy with weekenders and carry-ons full of useful pockets, intelligent design, and quality craftsmanship. Ensure smooth traveling with any of our four favorites below. [caption id="attachment_10265" align="aligncenter" width="304"] Oh Joy! [/caption] “Perfect for a weekend getaway to the beach or winter cabin,” the Catalina is a lightweight canvas bag that can comfortably fit a whole weekend’s worth of stuff. Pack your sandals, towels, books, camera, shoes, and more in this stylish tote that comes in ten flattering hues. [caption id="attachment_10264" align="aligncenter" width="506"] Lo & Sons[/caption] The Catalina is plenty for a weekend trip, but look to the Catalina Deluxe for anything more. This adventure-ready duffel is built with sturdy straps and lightweight pre-washed canvas, available in a small and a large size. The luggage sleeve makes it easy to travel with multiple bags, and a removable padded insert keeps the Catalina Deluxe standing tall. [caption id="attachment_10262" align="aligncenter" width="435"] Lo & Sons[/caption] For those who prefer their style to be sleek rather than relaxed, the O.G. overnight bag offers the Lo & Sons signature hummingbird poly jacquard interior wrapped in a fine weave, water-resistant exterior. With ten sophisticated color options, the O.G. is designed to blend perfectly with your wardrobe. This bag fits electronics and laptops up to 13", papers and professional documents, a key-leash, shoe pocket, and plenty of additional conveniently-placed pockets. The Lo & Sons standard luggage sleeve makes travel a breeze, while the O.G.’s design makes it the perfect carry-on for any adventure. [caption id="attachment_10261" align="aligncenter" width="489"] Lo & Sons[/caption] The O.M.G. is the O.G.’s little sister, with all the convenience of the O.G. 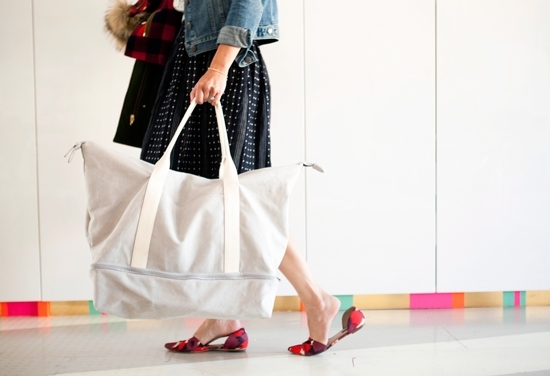 in the perfect size for your daily commutes. 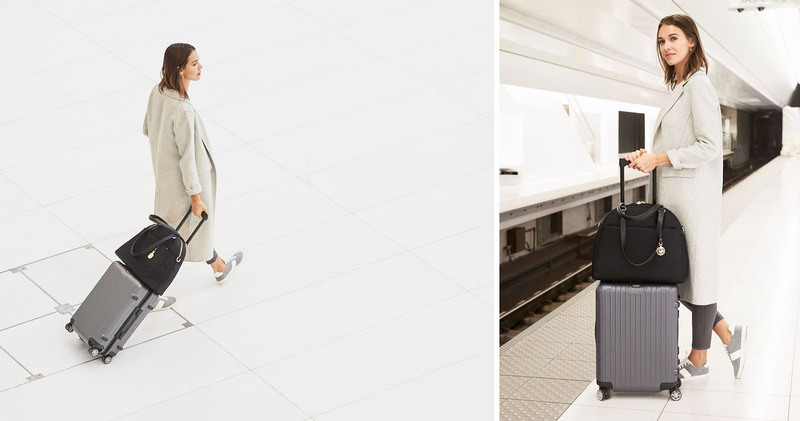 You can still fit shoes, laptops up to 13”, and all your keys and cosmetics, and the luggage sleeve still adds a surprising amount of ease to your travel (don’t knock it ‘til you try it!). One of the most sought-after bags for professionals all over the world that shop through Big Apple Buddy, the O.M.G. could easily become your next favorite travel partner.